The $40 million upgrade of Berth 4 at Port of Townsville and the Chith Export Facility at Rio Tinto’s new Amrun mining operation were among the winning projects in the Queensland 2018 CCF Earth Awards. 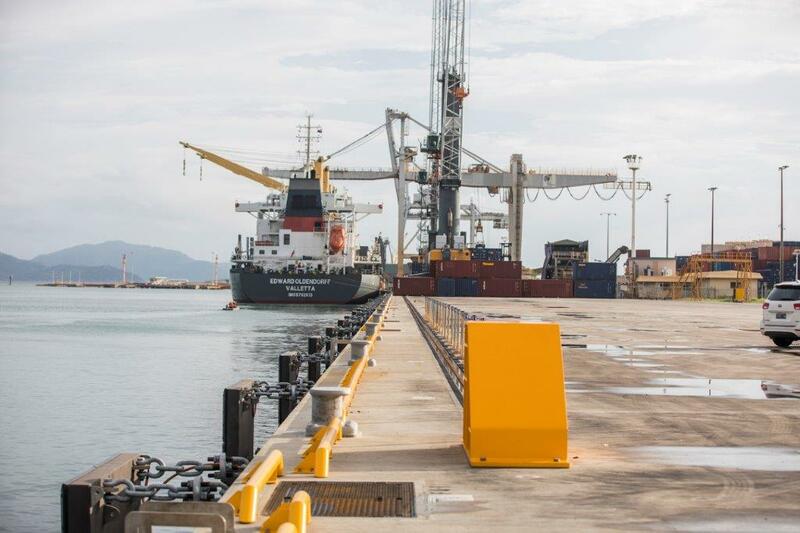 CivilPlus Constructions delivered the $40.7m Berth 4 Upgrade Project to assist in accommodating projected trade growth at the Port of Townsville. The Berth 4 deck was raised and widened to become level with Berth 3, the length extended by 41m to a total of 241m, allowing a continuous quay line for Berths 2, 3 and 4. A total of 256 new piles were installed and used to support the fully suspended formwork system for the heavily reinforced 5900 cubic metres of placed concrete.